As a dietary supplement for adults, take 1 serving in 8-10oz. of cold water once daily, 30 minutes before activity. Never consume more than 1 serving in a 24 hour period. Drink at least ten 8oz. glasses of water per day. Read warnings and only use as directed. 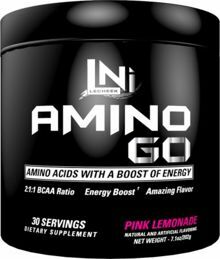 DO NOT TAKE AMINO GO IN EXCESS OF ITS RECOMMENDED DOSAGE. AMINO GO is intended only for healthy adults over 21. Consult a licensed healthcare practitioner before use. Do not take if you are currently pregnant or nursing, have had or have a family history of heart disease, high blood pressure, stroke or any other disease, or using an MAOI, prescription drug, or over-the-counter drug. If you are a competitive athlete and/or subject to drug testing, consult with your sanctioning body prior to use to ensure compliance. Discontinue use immediately if you experience any adverse reactions. This product contains caffeine. Do not consume with any other caffeine products such as tea, coffee, soda, etc. KEEP OUT OF REACH OF CHILDREN. Amino GO does not contain dye and mixes perfectly. 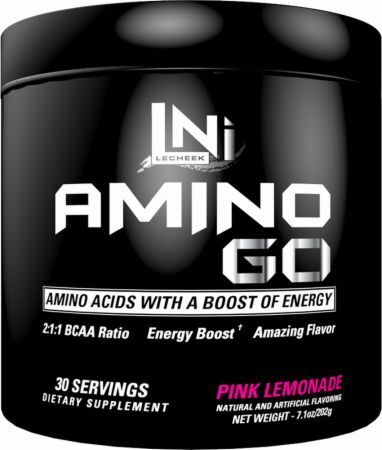 Amino GO launches in six flavors (Pink Lemonade, Apple, Blue Water, Fruit Punch, Lemon Lime & Orange) We pride ourselves in having the best flavors in the industry.